Opening times, animal feeding times, travel guides and other useful info to help you plan your visit. Take a break from exploring and drop into our Maki Café for a delicious bite to eat, or grab a snack from Savanna’s Take Away while your children enjoy the huge adventure playground. During peak months a refreshment kiosk serving ice creams, cold drinks, hot dogs and snacks is situated by the primate house and an Ice cream kiosk serving ice creams is situated on the outside of the restaurant. Picnics and other food and drink cannot be brought into the zoo but visitors can exit to the car park at any time to have picnics. 11am: Meet the Africa Keepers & Giraffe Brunch – Meet the Keeper at our African Savannah (or in the Africa House Weather depending) to become acquainted with the residents of our Africa section: Zebra Ladies Banzai & Pippie and baby Dooma, Wildebeest Harry, William and George & White Rhino Muzungu, Huubke, Ntombi, Spud, Zuki and Zahra. Our Giraffe gals Eloise, Gaya, Eller, Bonamanzi & Katoumi love a tasty carrot or 2, you won’t be able to resist a flutter from those amazing eyelashes! Join in for just £3 and make some memories today. 11:20am: Breakfast with Bears – Hailing from Peru, Snoopy, Mona and Zippy are our very own Paddingtons! Join our keepers this morning to watch the Andean Bears enjoy their Breakfast and learn more about Chapparri Ecological Reserve who are working to help conserve these beautiful creatures on their homeland. 11:30am: There’s a Penguin Party at Humbolt Haven and you’re all invited, but show some etiquette and don’t come empty handed! Join in with the feeding for just £3 today! 11:30am Lunch with Lemurs – Found usually only on the island of Madagascar, 4 species of Lemur call Safari Zoo home! Who will join Max, Tyrion, April and friends for lunch today? Join in for just £3 per person and feel free to bring a friend! 12:30pm: Saving the Chubby Unicorns – some say Unicorns once existed, hunted to extinction for their horns which were rumoured to common minor ailments. A unicorns horn (Alicorn) could sell for 10 times its weight in gold. Whether real or figments of our imagination, Rhinos are very real and are facing extinction right now! Come join our Africa keepers, meet the crash and find out how Safari Zoo’s very own adoptee Arthur and his Safari Zoo based army are helping to conserve this amazing species. 12:45pm: A South American Tale Right Here at Safari Zoo – Otters, Maned Wolves & Tapirs – listen to the amazing sound of Giant Otters Carlos and Tupi Singing (or more accurately yelling) for their supper, marvel at the catching skills of manned wolves Danna and Kiara and say hello Tapir Kaya! 1pm onwards: Hand feed one of the resident big cats! See the schedule or ask a member of staff which cat features during your visit. 2pm: Giraffe Talk and Hand Feed – Kordofan Giraffes like Eloise, gaya, Eller, Bonamanzi and Katoumi has been recently declared endangered, find out more about their plight and how these long legged beauties are dependent on the survival of the teeny tiny bee! Our Giraffe Gals love a tasty carrot or 2, and you won’t be able to resist a flutter from those amazing eyelashes! Join in for just £3 per person and make some memories today. 2pm: Lunch with Lemurs – Found usually only on the island of Madagascar, 4 species of lemur call Safari Zoo home! Who will join Max, Tyrion, April and friends for lunch today? Join in for just £3 per person and feel free to bring a friend. 2:45pm: Tiger Treats – Cinta and Kumbah love their afternoon treats and watching them climb the 20ft poles, whilst amazing, is not done for our or your entertainment. Find out why we feed them this way, how we keep them in tip top shape and also learn how some of your treats are threatening the survival of Tigers like Cinta and Kumbah and their fellow forest dwellers back in Indonesia as the production of Palm Oil, found in many of our snacks and foods, decimates their homes. 4pm: Red Panda High Tea – Safari Zoo Sweethearts Tink and Pan cordially invite you to join them for their high tea at the Red Panda residence. 4:15pm: Supper with the Giraffe Gals – Our Giraffe gals love a tasty carrot or 2, and you won’t be able to resist a flutter from those amazing eyelashes! Join in for just £3 per person and feel free to bring a friend. 4:15pm: There’s a Penguin Party at Humbolt Haven and you’re all invited, but show some etiquette and don’t come empty handed! Join in with the feeding for just £3 today! (W) = Wristband. Buy a wristband on entry or at the gift shop for Giraffe and Lemur feeding for just £5. Searching for South Lakes Safari Zoo / South Lakes Wild Animal Park in mapping apps may take you to our staff only entrance. Coming from the M6, Follow the brown zoo signs (look out for the elephant) along the A590 & turn at the sign for Marton. Do not continue into Dalton-in-Furness. Parking is FREE for all visitors. Coach parking available for group bookings. Public transport from Barrow-in-Furness, Ulverston, Dalton-in-Furness Train Station or Kendal. The X6 & 6 both stop at our new entrance bus stop Melton Top – Lindal-in-Furness. You will see a pedestrian path from the bus stop which takes you right to our park entrance. The nearest railway stations are Dalton-in-Furness (DLT) and Barrow-in-Furness (BIF). Barrow-in-Furness is a short taxi ride from the Zoo. Dalton-in-Furness is the nearest station and also a short taxi ride away. A bus service can be taken from Dalton station to the zoo. As an animal attraction for the family & kids, the safari zoo is wheelchair accessible. Some newly added additional pathways to features are currently gravel based but there are alternative tarmac routes to their destinations. Please ask a member of staff for route advice if you have any concerns. Unfortunately we do not have facilities available for wheelchair or mobility scooter hire. We ask that guests refrain from smoking (including E-Cigarettes) in the zoo. Please use the recycling points around the park for the safety of the parks animals and interest of the Lake District’s environment. Visitors must follow the interactive feeding safety advice signage. Full Health & Safety Rules. Safari Zoo reserve the right to make changes to programmes, events and schedules without prior notice. 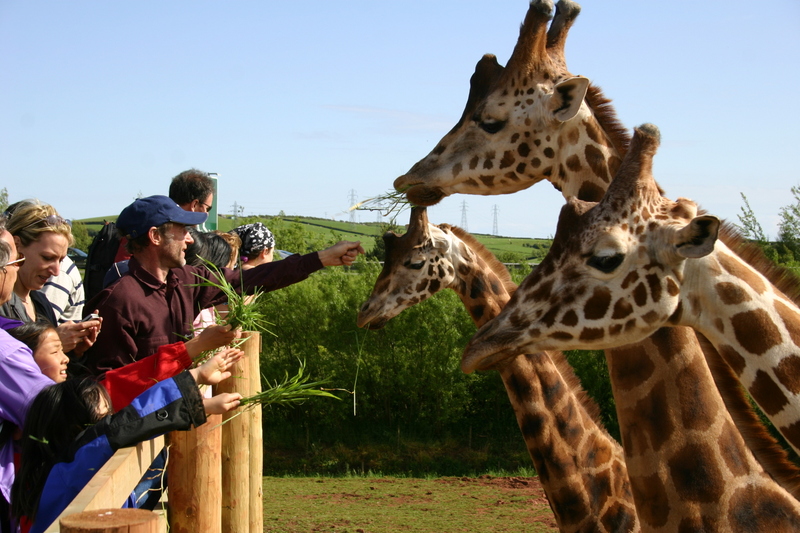 Pre-book hand feeding experiences and animal encounters before your visit.